Fort Cooper State Park occupies 700 acres along the east side of US 41 south of Inverness.It is the site of Fort Cooper, which dates back to the Seminole wars in 1836. Interpretive signage and displays, as well as remnants of the original fort, can be viewed along the trails in the park. The park surrounds 160 acre Lake Holathlikaha, which varies in level depending on rainfall. When the lake levels are sufficient, swimming and kayaking is allowed. Canoe and paddleboat rentals are available - but private watercraft are not permitted. Fishing is also permitted at the lake. 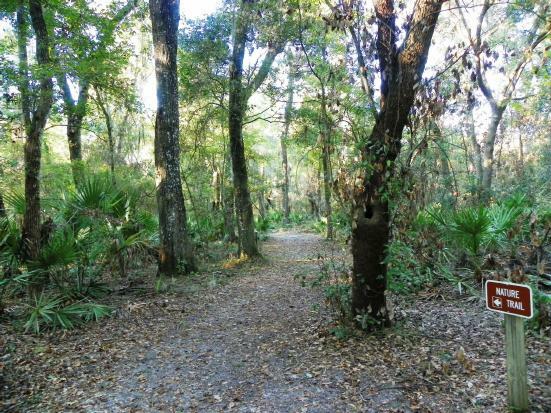 There are five miles of marked hiking trails in the park, including a paved multi-use connector to the Withlacoochee State Trail which runs along the western boundary of the park. Picnic facilities, a covered pavilion with barbecue pit, and a children's playground are available. The Lake Lodge is a rustic building with a fireplace and kitchen that can be rented for groups of up to 50 people. Primitive tent camping is permitted, and a group campground at the south side of the lake may be rented by groups of six or more. Reservations for the Lake Lodge, primitive campsites, and group camping must be made in advance by calling the park. Each year in March a re-enactment of the 1836 skirmishes between militiamen of Fort Cooper and the Seminoles during the Second Seminole War takes place during "Fort Cooper Days". The event includes period military and Seminole encampments, along with arts, crafts, demonstrations, entertainment, food and refreshments.